I love the Coty compacts and powder boxes so I was really pleased when I found this one! 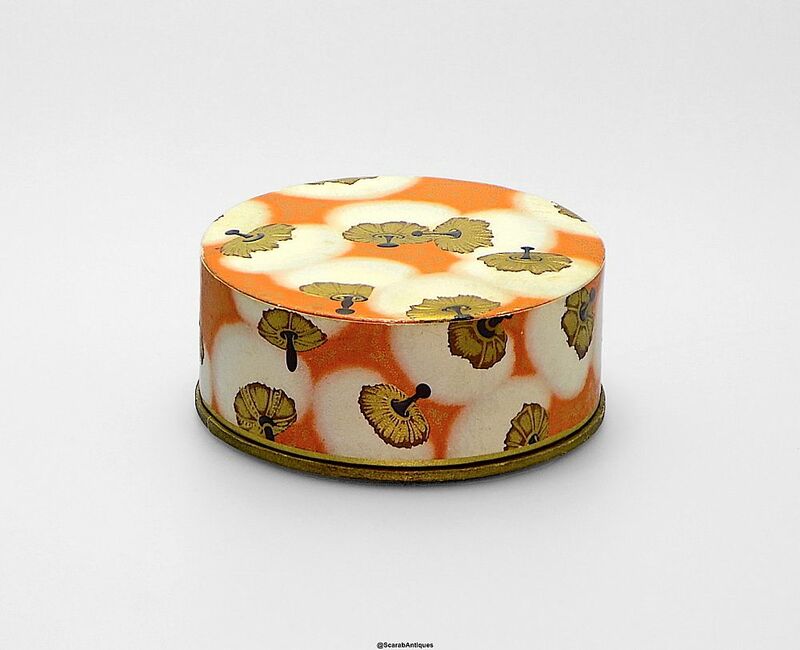 The top is decorated with the "Puffs" design by Lalique with white puffs with raised.embossed dull gold tops and black handles on an orange & gilt background. 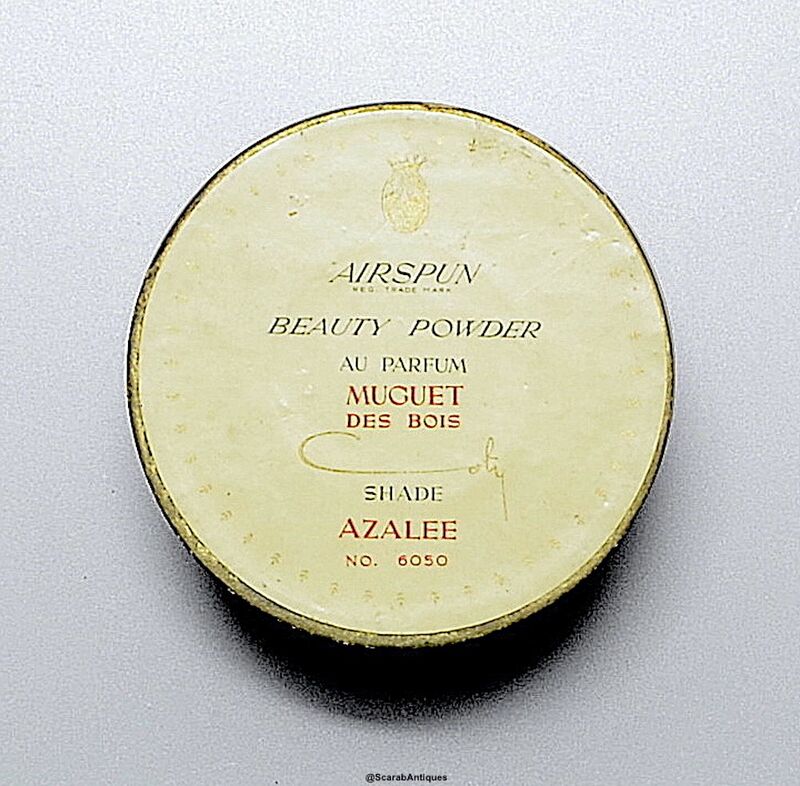 The loose powder is intact due to a cellophane cover on which is printed "Airspun Coty Azalee" together with the Coty trademark. 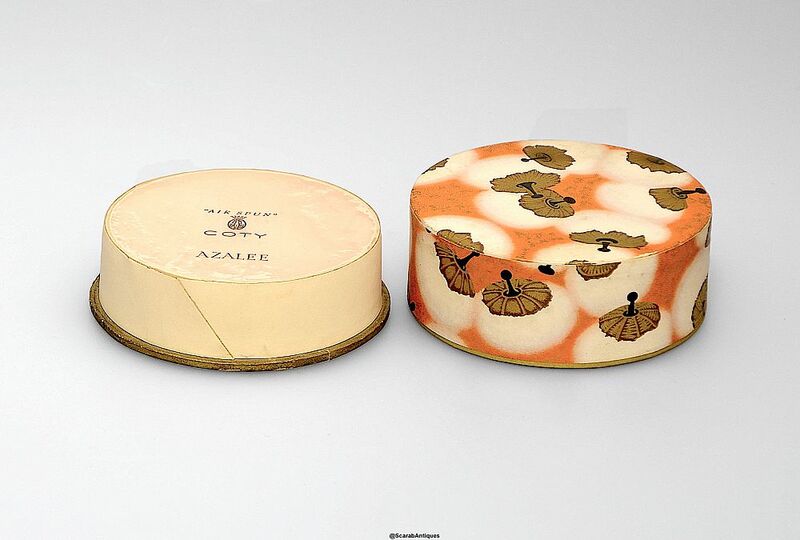 The underside of the base is printed "Airspun Reg Trade Mark Beauty Powder au Perfume Muguet des Bios Shade Azalee No. 6050" and has the Coty signature & trademark.